tiramisu cupcakes | Shall we eat? 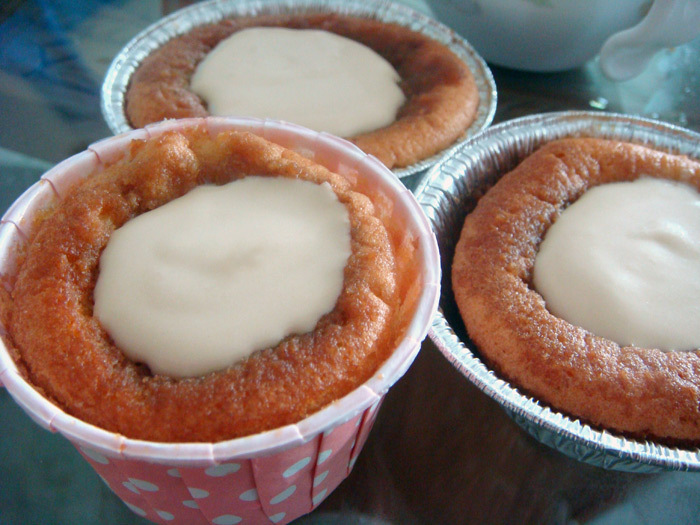 Now, have you ever imagined a tiramisu cupcake? I simply adored the idea. One of my favorite desserts in an individually sized serving. Delicious. So I googled and found this – a lot of steps but nothing too difficult. The original recipe calls for a box mix, but I can’t stand box mixes so I turned to no-fail Betty Crocker yellow cake (always delicious). After which I became sure my cupcake explosions were due to the cupcake liners, because even no-fail Betty Crocker cake became the victim of a volcanic cupcake spill! Sighs. The process is simple enough. First, bake up your white or yellow cake. Cut out the centers (I used a small, sharp knife), and fill with mascarpone cheese. Plug the hole back up and then frost with delicious cream cheese frosting (this frosting was bloody amazing, I even used it to cover up the lemon cheesecupcakes). Plus it was almost pipe-able. Just almost. Think a little bit more icing sugar & some time in the refrigerator would make this one slightly stiffer and definitely pipe-able. Must try again! 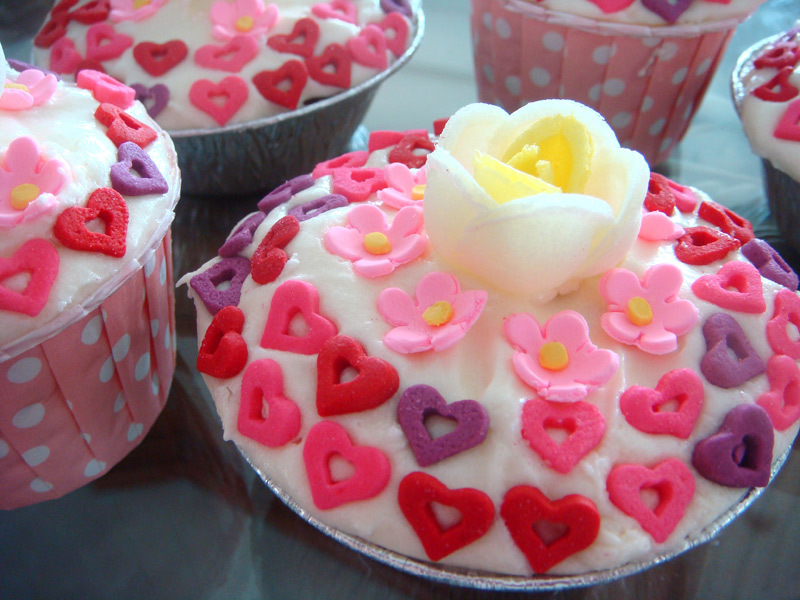 These cupcakes were delicious. The combination of the cake + mascarpone cheese filling + cream cheese frosting was just perfect. Unfortunately, I found my cupcakes were a bit lacking on a) coffee flavor b) mascarpone filling. The cupcakes became a bit too moist (I should have used the foil liners recommended by the original recipe!) because my mascarpone filling was a bit too runny — possibly because I was unable to get any Cool Whip (+ it is SO preservative filled), so I replaced to whipped cream instead. My advice to anyone making this recipe is to liberally brush on the espresso and to fill with as much mascarpone as possible! Tiramisu should be melt-in-your-mouth soft, soft, soft with tons of coffee flavor. It is a bit difficult to measure out the perfect consistency of soft coffee soaked cake against moist mascarpone filling, so do experiment to find the optimum ratio! The recipe definitely has tons of potential though! I made one last individual tiramisu with leftover coffee, cake, mascarpone cheese & cream cheese frosting. I layered them over and over to build up one super delicious, super sweet individual tiramisu trifle. It was Really Good. So then, here’s the recipe! Make the mascarpone filling (this needs to be made ahead): Beat mascarpone, coffee extract + condensed milk until well blended. Fold in whipped cream. Chill filling mixture 4-6 hours or overnight. 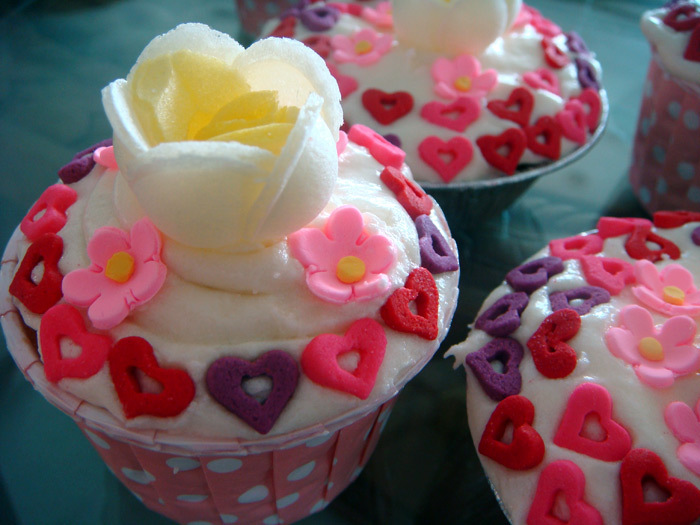 Prepare yellow or white cupcakes. While these are baking, prepare the liquid coffee as below. Liquid Coffee: Boil 2/3 cup water + stir in instant coffee and powdered sugar. Allow to cool to tepid. 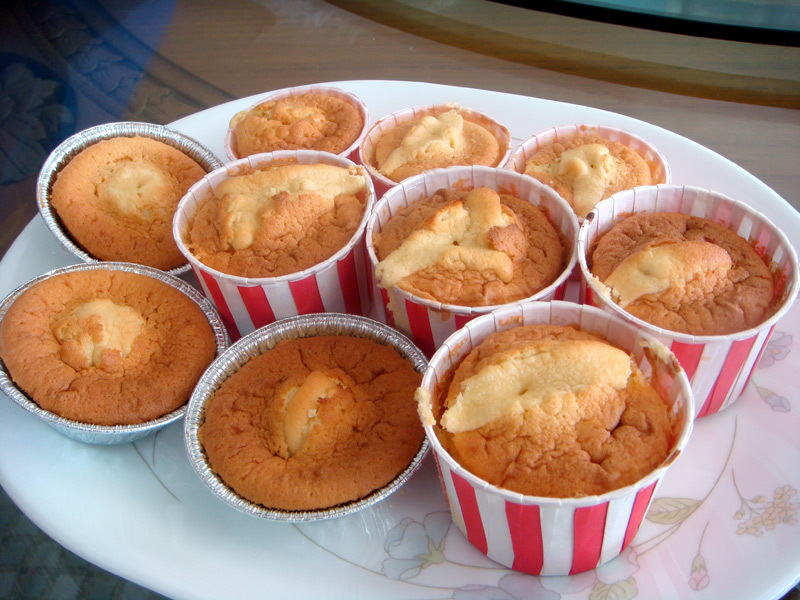 Once cooled, use a fork to poke holes into each cupcake so that they will absorb the liquid coffee. Then brush liquid coffee onto each cupcake using a silicone baking brush. Cut holes in the top of each cupcake and brush more liquid coffee in each hole. Fill pastry/icing bag with mascarpone filling and inject about 1-2 tablespoonfuls via the bag directly into the top-center of each cupcake. 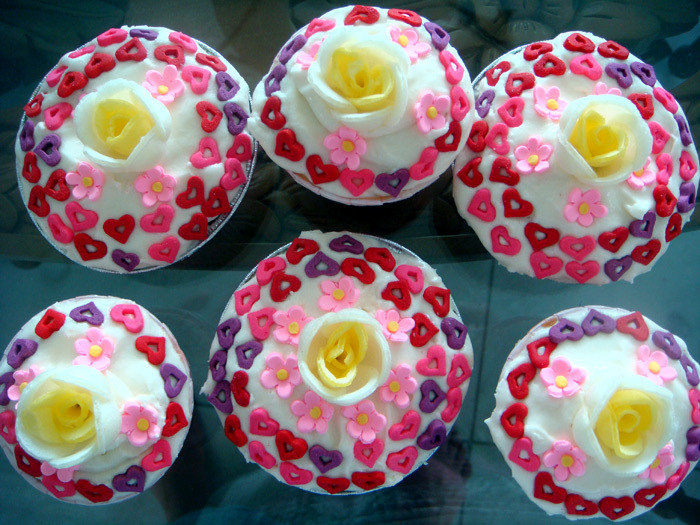 Plug each cupcake back with a small amount of cake. Prepare cream cheese frosting: Beat butter and cream cheese together until creamy with hand mixer on low. Slowly add powdered sugar, scraping down the sides of the bowl as necessary. Add vanilla and increase mixer speed to medium. Blend until frosting is fluffy. At this stage you may need to add more powdered sugar to thicken up the frosting’s consistency slightly. 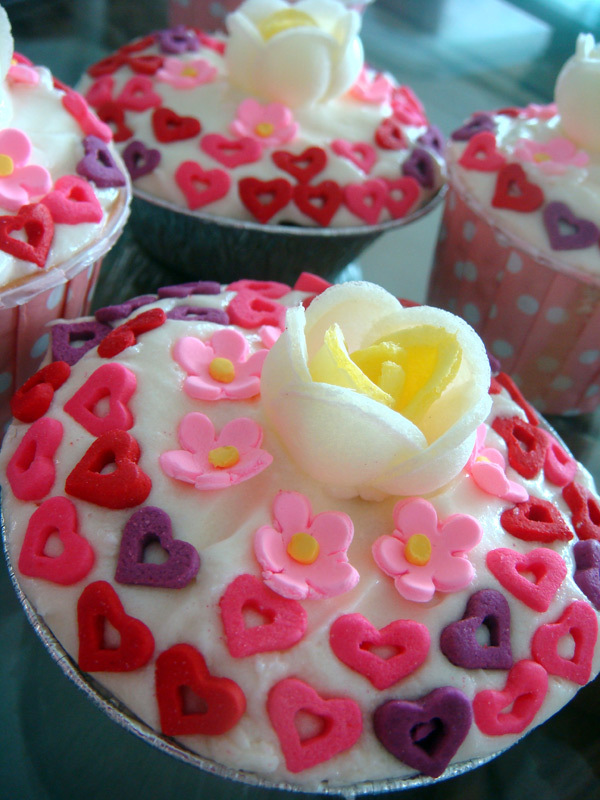 Frost each cupcake with the frosting (I piped on some & used a spatula for others) and decorated with little pink hearts and flowers.